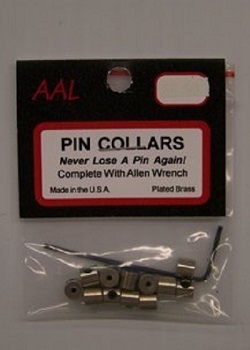 Package of 12 Pin Collars. Made from plated brass. Includes Allen wrench. MADE IN USA.